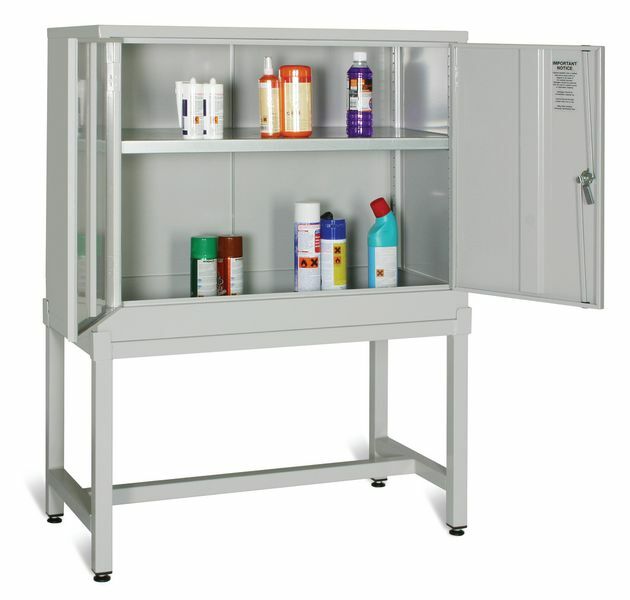 If you are storing paints, aerosols or chemicals then these cabinets provide the ideal solution for segregating dangerous substances on your site. Constructed from high quality 0.7-1.5 mm grey steel for extra rigidity, the cabinets are fitted with interchangeable GHS labels and are supplied with a handy GHS reference chart and guide for your convenience. The adjustable and perforated shelves can also be reversed to form a tray, providing great flexibility. The permanent fully welded sump, which can be easily cleaned with appropriate absorbents, catches all spillages, thereby eliminating the potentially dangerous risk of extracting a heavy, laden sump.